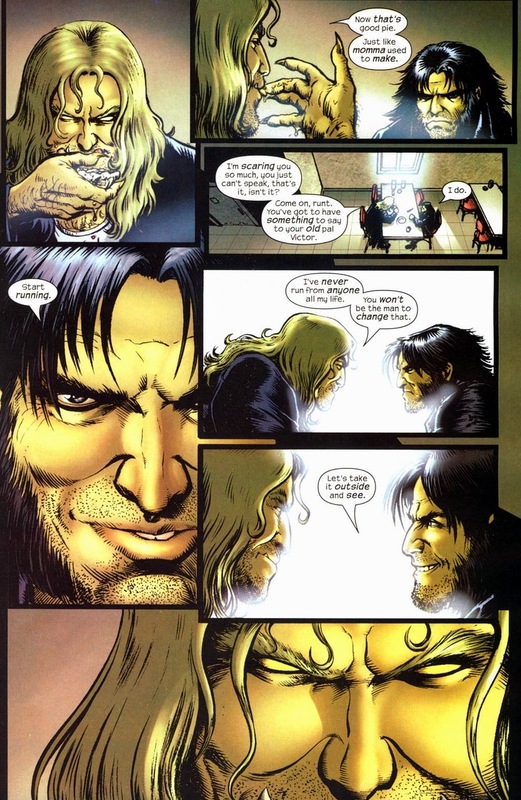 For being a dirty, hairy, smelly little man, Wolverine has quite the impressive list of past lovers. 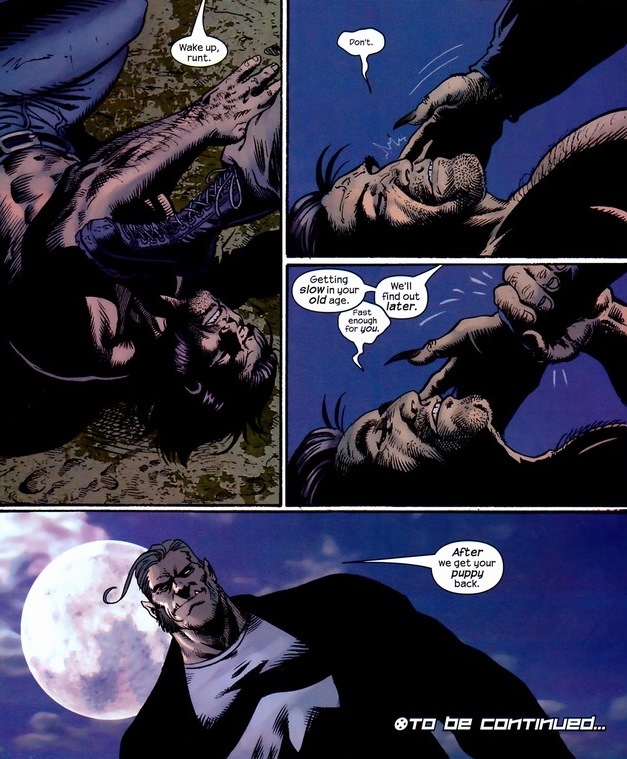 Unfortunately, Wolverine’s love life is forever plagued by tragedy and suffering. 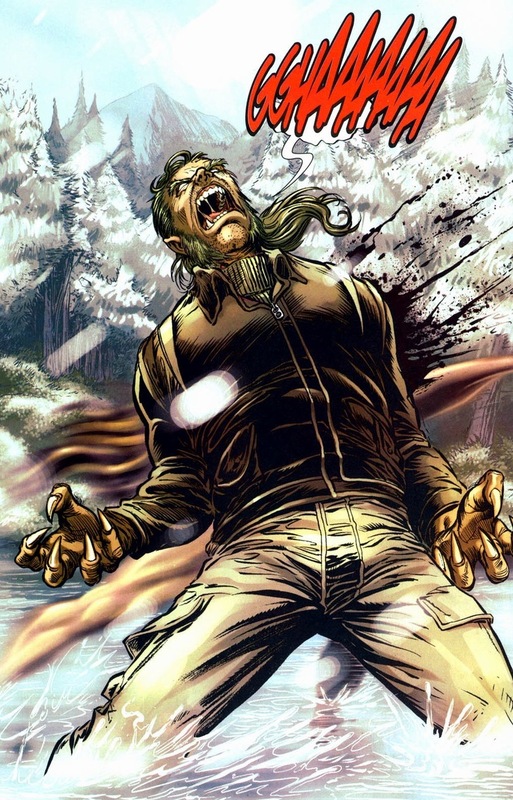 Wolverine’s killed wives, seen his wives killed, killed in front of his wives, etc. 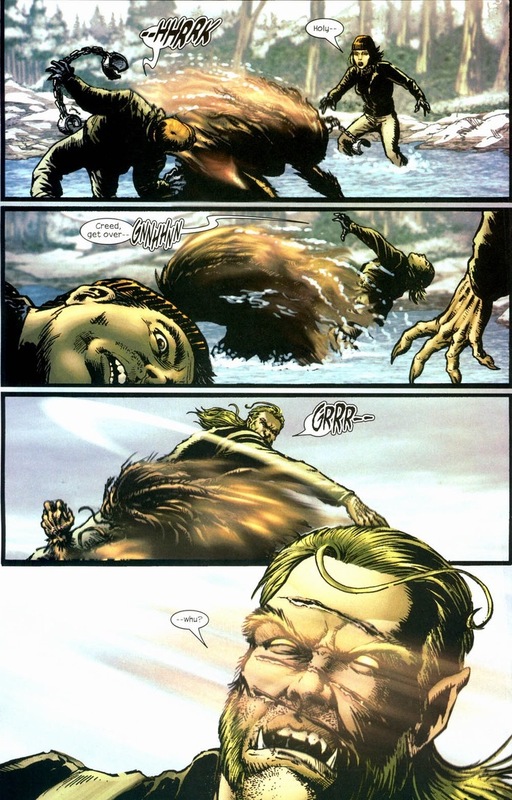 Y’see, these women represent the best of humanity — sophistication, forgiveness, sensitivity — all traits Wolverine lacks. So maybe to form a long-lasting romantic connection he needs to find someone different, like say, exactly like him. Exactly like him. 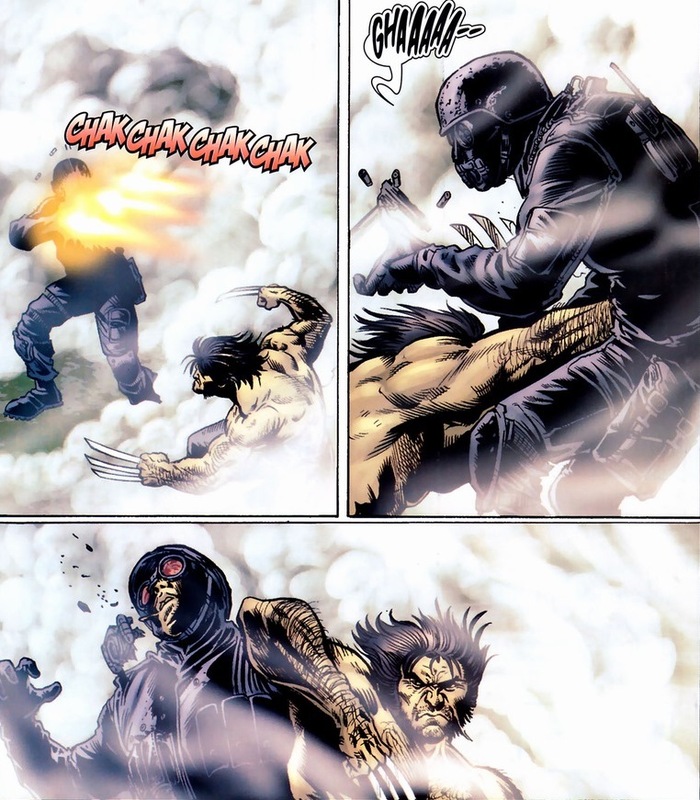 Today, we’re wishing Wolverine luck in Wolverine #13-19, volume 3, written by Greg Rucka and drawn by Darick Robertson. 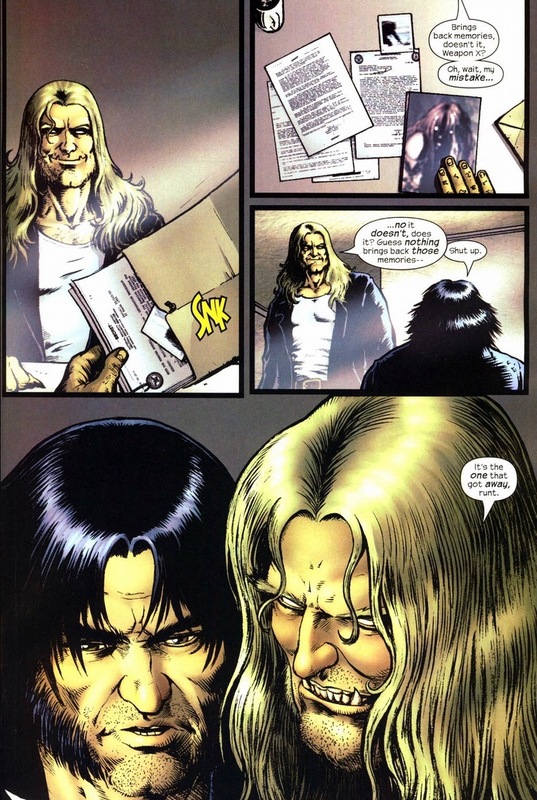 Oh yeah, Sabretooth (aka Victor Creed) plays a prominent part as well. 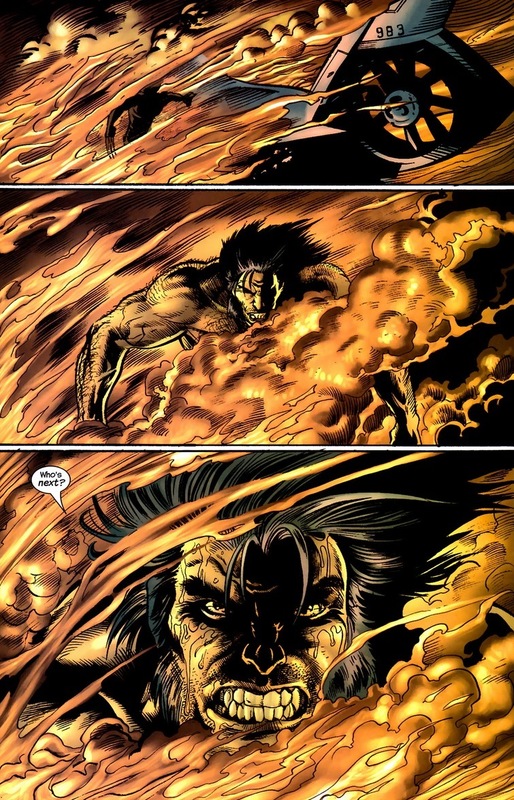 If you aren’t familiar with Wolverine’s arch-nemesis, he has the same feral instincts, powers, and general contempt as our protagonist. Every year or so, they claw each other up, heal, rinse and repeat next year. 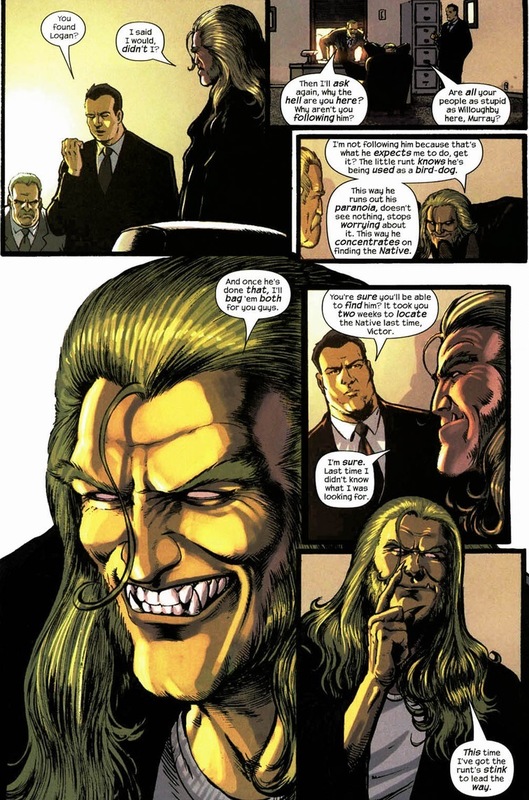 Today, Sabretooth’s making some easy cash. Well, it’s supposed to be easy. 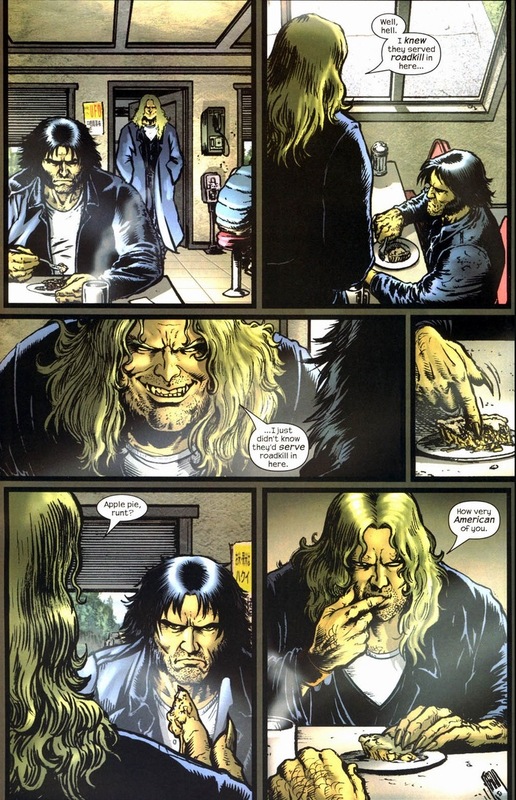 Regardless, Sabretooth didn’t get to the top of the supervillain food chain by being a dummy. Instead of risking another month of hunting just to be ripped open again, he figures maybe he could have someone else waste that time for him. Y’know, someone who’s not terribly busy at the moment. 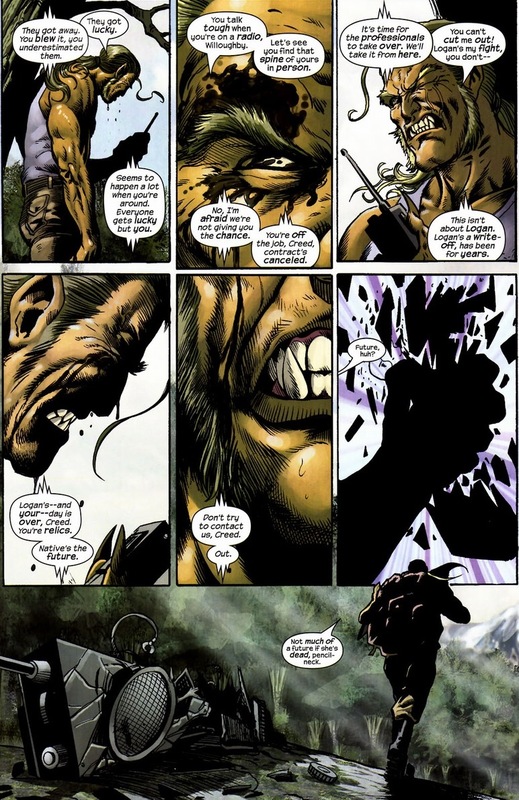 Weapon X: the secret evil group that brainwashed Wolverine into a mindless killing machine. Turns out some leftovers run around the local woods. 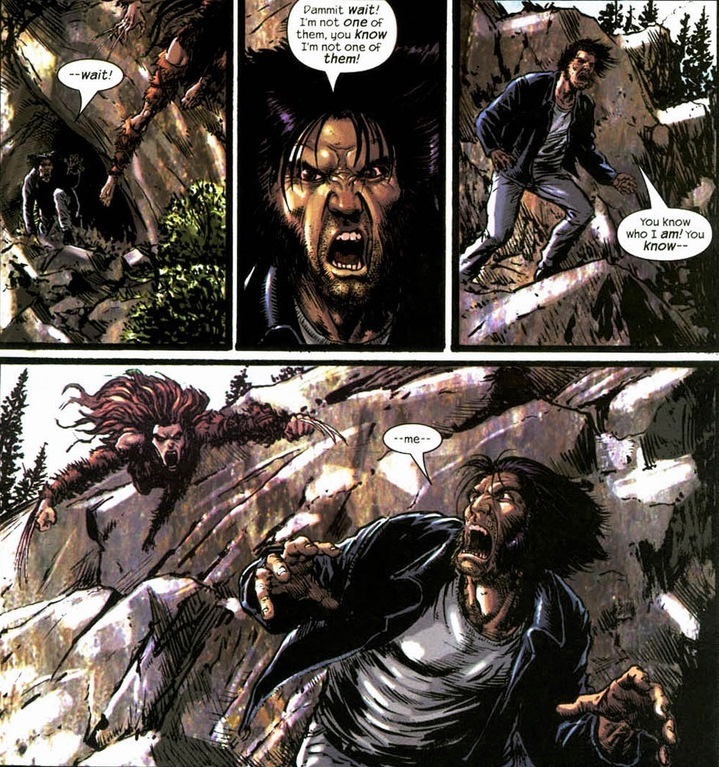 But bad memories aside, why would Sabretooth pick Wolverine to hunt for his employers? Ew. Even if we assume the best, this wild woman hasn’t brushed her teeth in a decade. Dirt, grime, and slime cover her entire body. She certainly hasn’t shaved (or trimmed) any of her body hair in years. 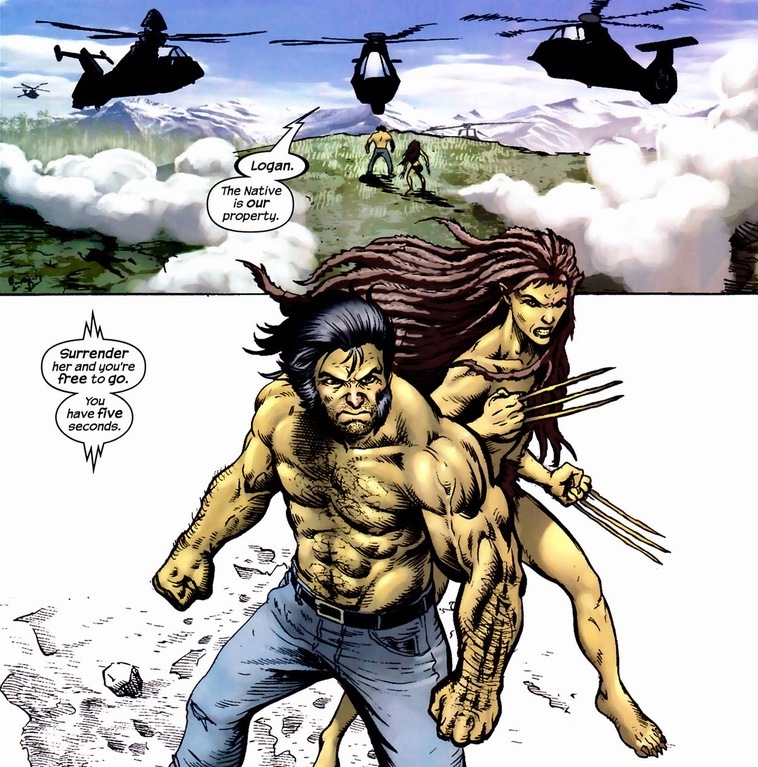 I’m not saying she carries bear Herpes or anything, but maybe Wolverine could take her for a doctor’s visit before getting lost in passion’s embrace. 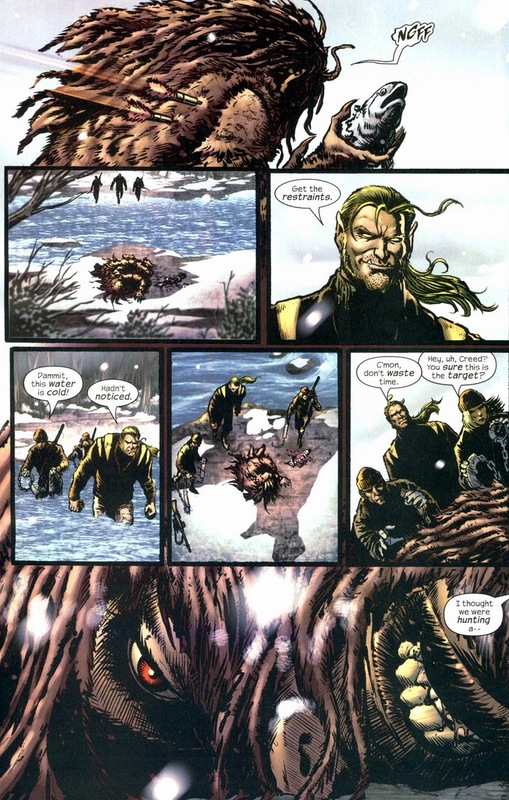 More importantly, Sabretooth messed up following/clawing them. 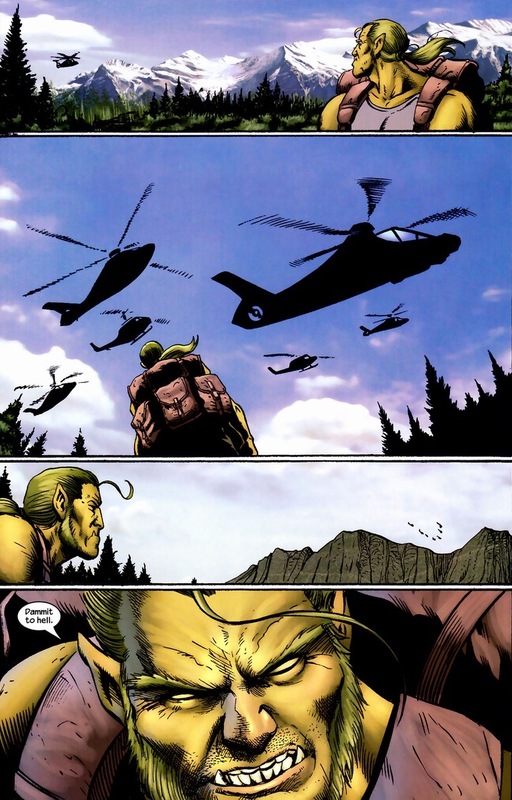 If you need just one reason to buy this book, Wolverine battling helicopters is worth the cover price alone. Unfortunately, while henchmen with Gatling guns don’t stand a chance against our hero, he can still be distracted. Like how his wolf-girlfriend gets captured when he’s busy stabbing mercenaries. Now, the situation’s far from hopeless. We know from comics that any dilemma can be solved through the easiest trick in the superhero arsenal: the team-up. After all, Wolverine’s a card-carrying Avengers. Get Ms. Marvel, Iron Man, or Dr. Strange to back him up — any of them could easily rescue the animal-lady and enjoy a light brunch within the same day. 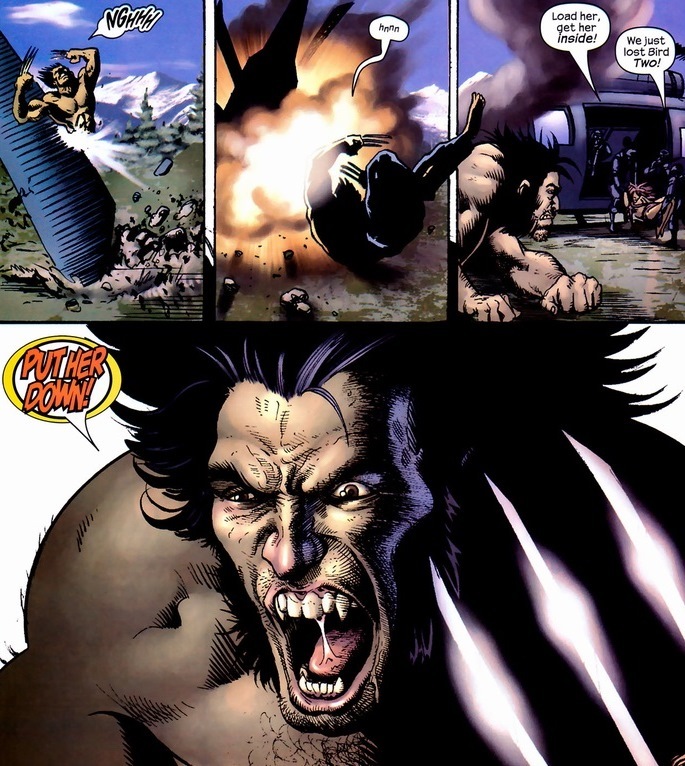 Unfortunately, Wolverine’s choices aren’t as luxurious. Not at all. To be continued indeed. 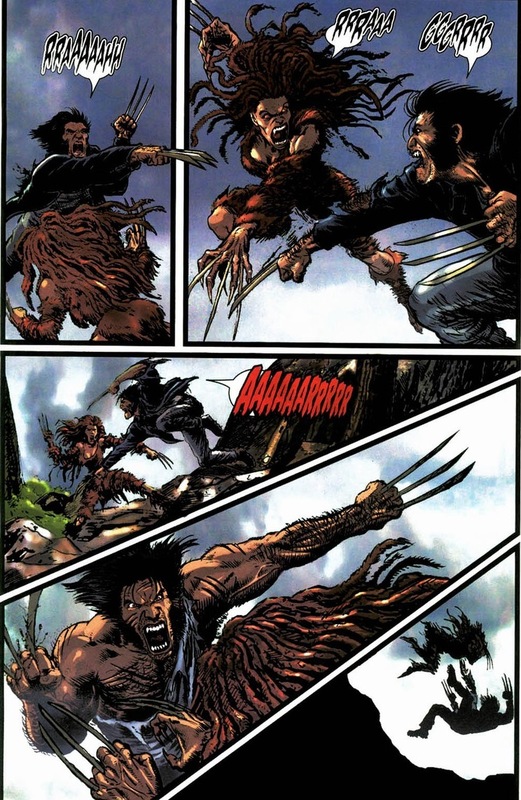 On Friday, Wolverine and Sabretooth save the day. Or not. Definitely one of those two.